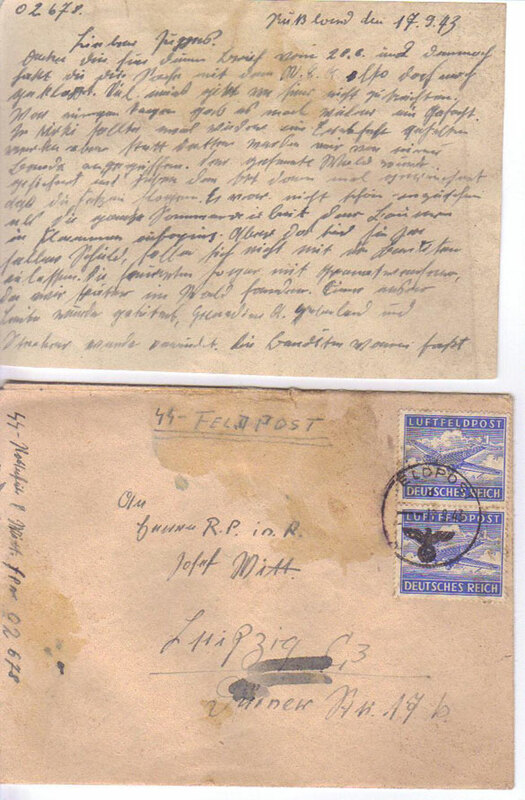 Sonderkommando Letter dated September 17, 1943. Here is a letter written by SS-Rottenführer Franz Witt; he was assigned to the 3rd Battalion of SS-Sonderkommando Dirlewanger. In it, he describes an engagement on September 5, 1943, during which SS-Grenadier Haberland was killed in action, but 35 partisans were killed and 15 were wounded. 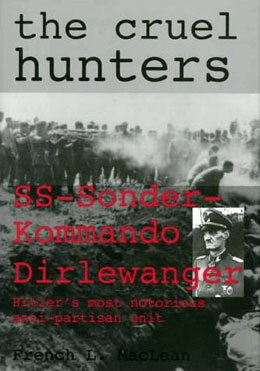 My guess is that Dirlewanger killed the 15 wounded partisans in addition to the 35 killed in action. That would equal Franz’s total of 50. Thanks for your letter from the 28th (August 28) and as I can see from it, the matter with the W.E.A. has been resolved for now. There is not much news from here to tell you. A few days ago, we had another skirmish here. In Mirki we were supposed to guard some harvesting, instead from a nearby forest, we were attacked by a gang. We had to search the whole forest and then smoked the whole village out. Believe me, it was not a pretty sight to see all the summer labor of the farmers going up in flames. But it is their own fault; they cooperate too much with these bandits. They even had a mortar, but we found the thing later in the forest. We lost one dead, Grenadier A. Haberland [Albert Haberland, born January 10, 1919 in Essen] and Specker was wounded. The bandits fled into the land but left 50 dead behind. Tomorrow I have a day off; I have to visit a dentist in Minsk. I will close now; hope all is well; give my greetings to Marlene and Berti.